This is the fourth consecutive year that I'll be participating in the A to Z blogging challenge for April. Last year, my theme was "All about me". I initially thought that it would be easy, but it got really difficult to talk about me so much. While I'm a pretty talkative person and narcissistic enough to talk a lot about myself, I did get bored after a point of time. Much before 2017 started, I had a topic in mind for the A to Z challenge for this year. Since the current times have been really trying, I thought a lot about taking up this challenge this year. You see, even if I have done this for three years earlier, doesn't make it any easy now. A to Z is a very tough challenge since you will be writing for 26 days in a month. Also, coming up with new content everyday is really hard. If your theme is random, you can just write something or even post a picture some day. But if you have a theme set, coming up with related content is quite a hard task. Choosing a theme isn't easy either. It should make sense in regards to the theme of your blog and you as a person. Else you wouldn't be doing justice to the challenge or to your blog. Most people write a series or a novella over 26 posts. I think that is the best idea if you already have a story with a start, end and a middle on your mind. Else, you'll just get stuck at one point and struggle later. Plus, the letter 'X' doesn't help either. Coming up with a chapter or a title starting with X is something else altogether. This year I thought about a million times if I should go ahead with this challenge. I'm a person who only writes on weekdays, when I take a break from work at office. Weekends for me should be laptop free. I hate going online during weekends and doing things. Of course I have all the social media apps on my phone and I do check them one in a while on weekends. But sitting cooped up in front of a laptop is a strict no no during off days. I do work occasionally on weekends, but that is limited only to work. I don't do anything else online on weekends, if work calls. Since the A to Z challenge requires me to have a post on every Saturday of the month, I wasn't too sure if I'd be able to go ahead with it. Considering the stress I've accumulated over the past few months, every weekend feels like a boon where I do nothing. But I did not want to give up on the challenge either. Especially when I had a theme in mind. From last January to this January I participated in the 'Photo A Day' challenge on Instagram. They are daily prompts fixed for a month, where you should post an image related to that prompt. One of those months had an A to Z prompt where you had to post an image of something with A on the first day and something with Z on the 26th day. The rest of the five days had number prompts. Anyway, for the photo a day A to Z challenge I decided to keep a theme and go with something related to books. This challenge doesn't need a set theme, but for that one month I decided to go in for a theme. I think it was July 2016. When that month ended, I had a theme ready for the A to Z challenge for 2017. This April I'll be celebrating the bibliophile in me. I'll be talking about authors, books I love, books I loathe, bookstores, fictional characters and everything else that could be remotely related to books. 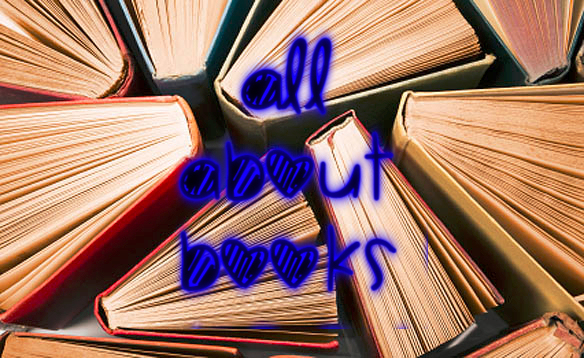 I'll be using the hashtag #LOLAllAboutBooks and I have almost all the posts sorted. In my head that is. I'm yet to put them on print. To all those who are participating this year, wishing you all the very best. May we support and motivate each other from the start, through the challenge and till the end of it. I'll be visiting my favorites every day. Do come back to check on me as well. If you are a book lover like me, do not miss this space this April. Anyhow, all the best! You'll see me here often because of your interesting theme. You better manage this cos I'm looking forward to read you too. Wow.. I look forward to this one.. and some recommendations from you. Thanks Latha, do come back. Oh yay, Soumya. I am so so so happy that you are participating, that too on books. You give honest reviews on the books you read and this is going to be interesting! Count me in. I will be visiting you every day. 💕 Happy A to Z.
I am so glad u r doing d challenge & i love d theme :) congrats! See u on April 1. You have no idea how happy this topic makes me. The bibilophile in me skipped with joy the moment I saw books. Can't wait for your posts. Oh yeah, let's rock it! It's my second time and last year I managed a short story collection.. this year I over thought it and ended up totally mixed up .. so its admirable that you know you are so sorted about your approach . I 'll be dropping by and catching some of those posts and look forward to hop across to your last year posts and know a bit about you .. I did have an idea ready so it was half the batter won I can say. I'm looking forward to your posts as well. Looking forward to your posts given I'm a bibliophile too :) I had thought about this theme too but put it off this year. Maybe next year. Good luck with the challenge! Thanks Sanch, good luck to you too! I won't miss it! I had a similar idea and even got book titles from A to Z... but something nasty happened recently and I may not be able to work that theme. So I will be going with my surprise theme. :-) Hugs and love to you, Hottie! I love your instagram dedication--love your photos there! How can anything nasty happen to someone so awesome? HOW DID I MISS THIS THEME REVEAL POST!?!?!?!? Well I have managed X, Q is still a mystery do far.